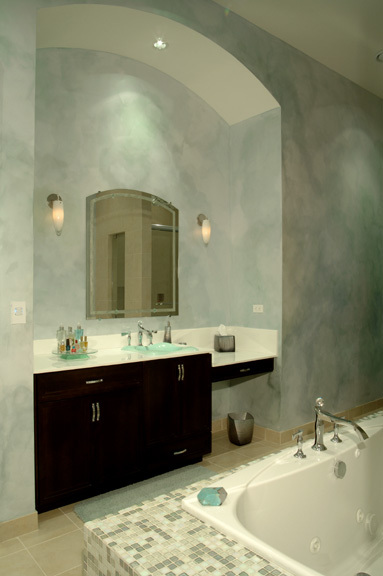 Bathrooms - S & B Interiors, Inc.
Glass vessels, onyx top, steam shower with view of the beach. 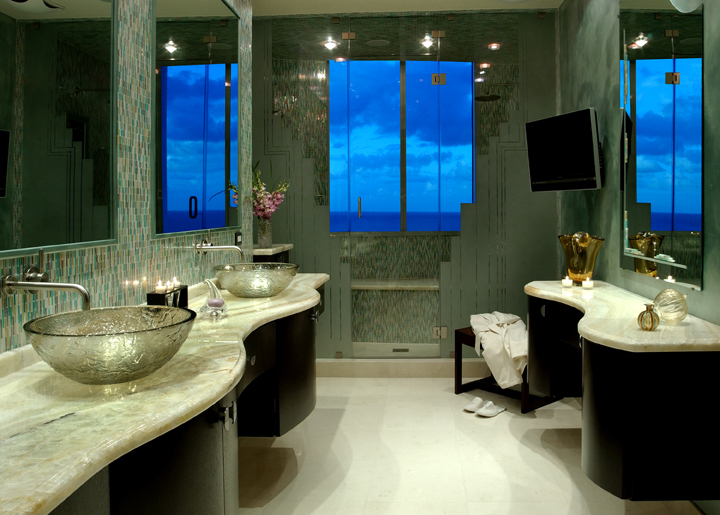 Zen Feel Bathroom Room. 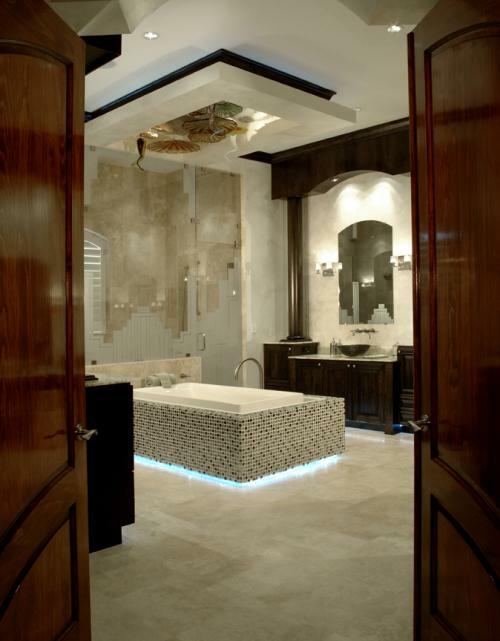 Contemporary Design using all natural materials. The preferences of a young girl. 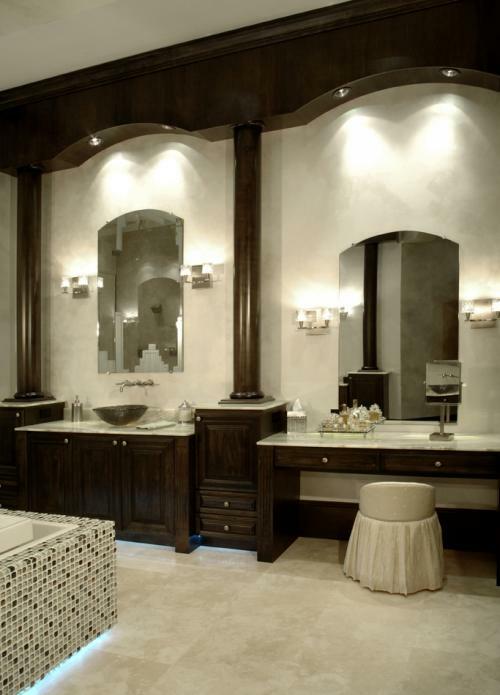 Custom designed transitional cabinetry for ladies vanity. Featuring built in space for hair blower and curling iron in cabinets as well as comfortable sitting area. 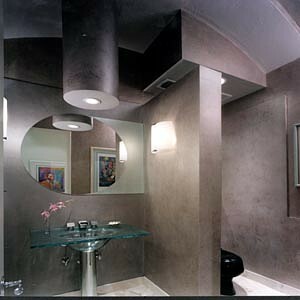 Contemporary powder bathroom utilizing shapes to define toilet and pedestal lavatory area. 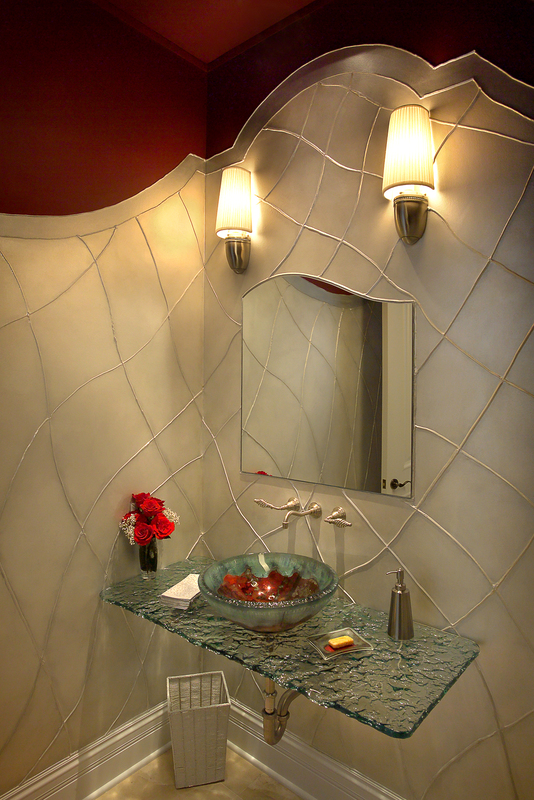 Combination of glass and stainless steel mosaic tiles with custom glass vanity. 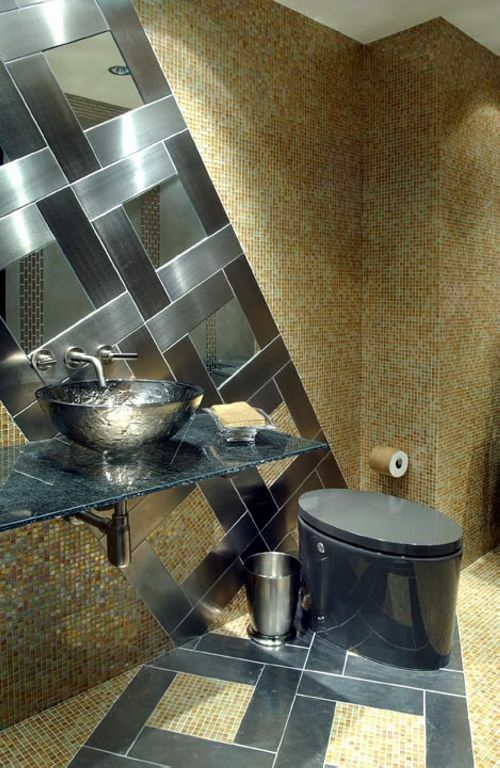 Kohler Hat Box toilet. 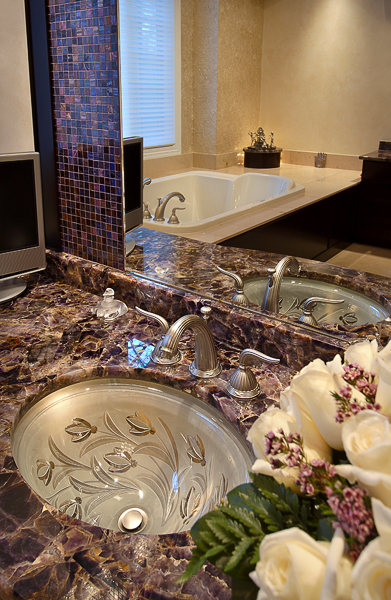 Marble transitional bathroom with glass surround contemporary tub in center of room. 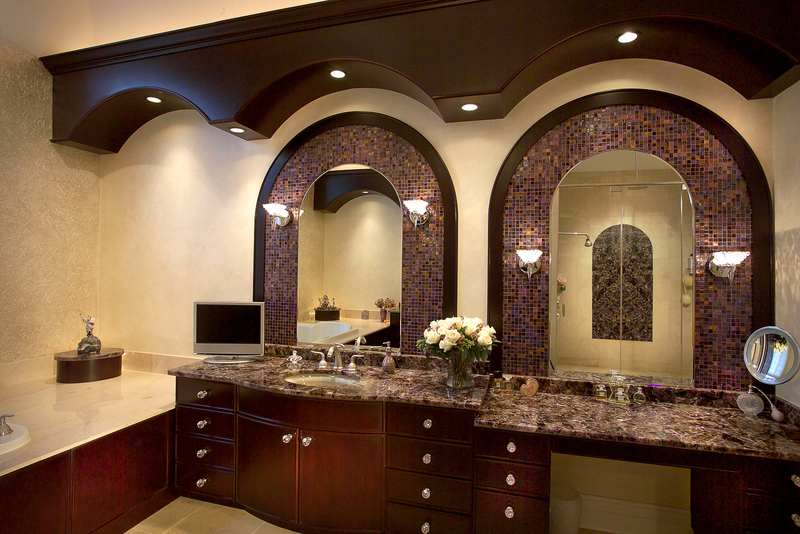 Custom designed cabinets.